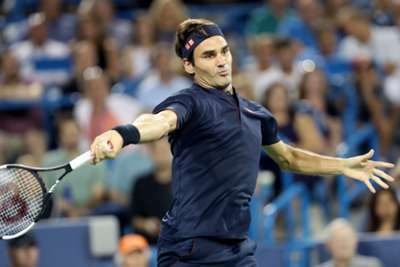 Roger Federer overcame compatriot Stan Wawrinka to join Novak Djokovic, Marin Cilic and David Goffin in the semi-finals of the Cincinnati Masters after a bumper day of action in Ohio. Bad weather wreaked havoc with the tournament's schedule on Thursday, meaning spectators were treated to a succession of double bills at the Lindner Family Tennis Center a day later. Djokovic arguably had the most difficult assignments, the Serbian having to see off both Grigor Dimitrov and Milos Raonic to reach the last four. But there were also stern tests presented by the likes of Wawrinka and Juan Martin del Potro, while Nick Kyrgios and Kevin Anderson also bowed out. Wawrinka offered a strong indication that he is nearing a complete recovery from long-term knee trouble, as he took the first set against Federer, before the world number two asserted himself to win 6-7 (2-7) 7-6 (8-6) 6-2 in the final match on Friday. Earlier, Wawrinka defeated Marton Fucsovics and Federer got past Leonardo Mayer in their delayed third-round matches. Despite those exertions, the veteran compatriots produced a display of impressive consistency, with no breaks in either of the first two sets, and some exquisite shot-making on show, particularly from the backhand of Wawrinka. Djokovic, a five-time beaten finalist in Cincinnati, went the distance in both of his matches. The Serbian ended 2017 champion Dimitrov's tournament defence by winning their encounter 2-6 6-3 6-4. And he followed that up by maintaining a 100 per cent record from nine meetings with Raonic, Djokovic accounting for the Canadian 7-5 4-6 6-3, before losing his car in the parking lot, to the amusement of fans making their way home from the event. Spectators were treated to a tight contest late in the day, when Belgian 11th seed Goffin edged world number three Del Potro 7-6 (7-5) 7-6 (7-4). 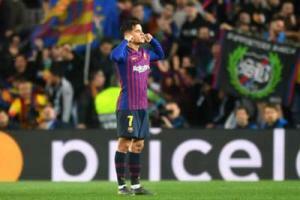 Argentinian Del Potro had been taken to three sets by 2017 runner-up Kyrgios in his delayed third-round match, while Goffin ousted Anderson in straight sets.